Many common and rare diseases are caused by changes to the genetic code. Genome editing technologies present an exciting prospect for treatments and possibly even cures for these diseases. 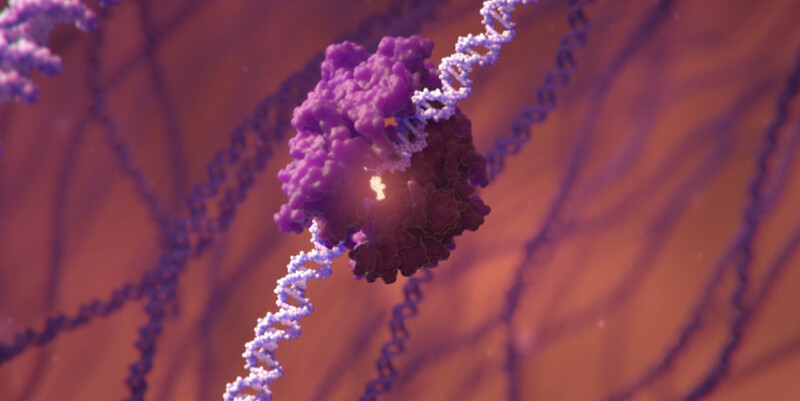 The NIH Common Fund’s Somatic Cell Genome Editing program aims to develop quality tools to perform effective and safe genome editing in human patients. These research tools will be made widely available to the research community to reduce the time and cost required to develop new therapies. Advances in genome editing technologies made over the past decade allow for precise changes to the DNA code inside of live cells. These technologies hold great promise, including the possibility of editing the disease-causing DNA within the non-reproductive (“somatic”) cells of the body. Such changes would not be passed down to future generations. Nevertheless, many challenges remain before such techniques could be widely used to treat patients with genetic disease. Genome editing tools need to function specifically on the disease gene to minimize unintended consequences. In addition, the editing tools need to be delivered selectively to the cells within the body affected by the disease while avoiding other cells, such as the reproductive cells. Expand the number of genome editing tools available to researchers. Develop delivery systems that can target the cells of specific organs and tissues in the human body efficiently. Design new assays for testing safety and efficacy of editing and delivery tools. Distribute the knowledge, methods, and tools that have been developed through this program to the scientific community. Genome Editing to 'Re-write" Wrongs - a commentary on the rationale behind the SCGE program. Visit NHGRI's Genome Editing website to learn more about this technology. The American Society of Gene & Cell Therapy (ASGCT) will hold its 22nd annual meeting on April 29-May 2, 2019 in Washington D.C. Register and find out more information. On Friday, May 3, 2019, the National Institute of Standards and Technology (NIST) will hold a one-day public workshop to discuss industry-wide measurement challenges and potential standards solutions for genome editing technologies, with a focus on the development of human therapeutic products. Registration closes on April 26, 2019.